Wednesday is here again, need a little dose of cute to help you make it towards the weekend? Your Wednesday Woof! is here to help. Puppies are adorable enough, but add some clothes meant for babies and they reach a whole new level of adorable! Footies! 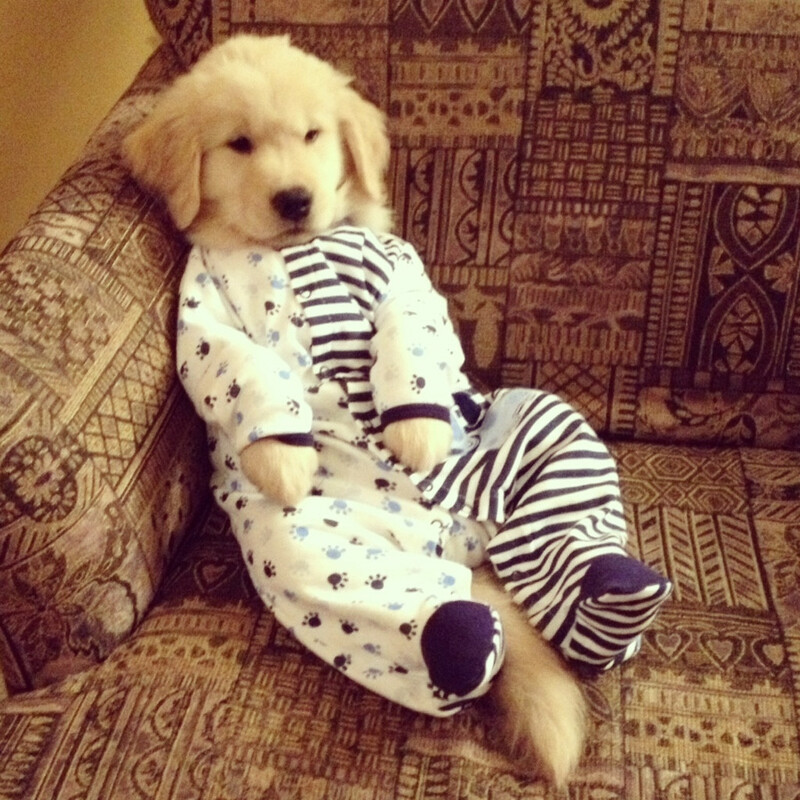 I love that this puppy allowed for this picture, and hope that he was quickly released from the baby pjs.